The GSMA Mobile World Congress 2018 is almost upon us! The equivalent of the CES or CeBIT for the mobile world, hundreds of thousands of delegates from around the world will be heading to Barcelona for four days’ worth of tire kicking the latest innovations in the mobile world—truly a sight to behold! I’m a relative newbie to MWC, having attended just twice before in 2016 and 2017. For those two years everything was mainly about moving to a high speed 5G future. Last year, however, while clocking up dozens of miles walking up and down the halls for the four days, I passed Blockchain stands multiple times. Fast forward to today and looking at the main themes at for 2018, and I wish I had spent a bit more time getting to grips with Blockchain back then. Blockchain has exploded in the past few months, spurred on by the huge rise (and subsequent fall) in Bitcoin value which has forced us to gain a cursory understanding of Blockchain—at least enough so we can use it in conversation at the next networking event. Most of us now have an inkling about the distributed leger concept and how it will revolutionise the world. Blockchain’s “poster boy” has, until now, been all about coins. Bitcoin and its hundreds of peers, such as Litecoin, Ethereum, and Dogecoin, are all virtual currencies being used to trade just about anything. 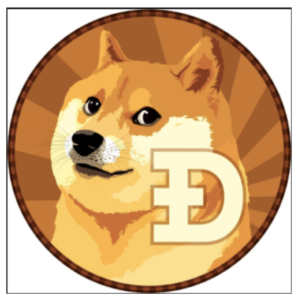 Dogecoin for example, is based off an Internet meme and is used for things like sending tips over the Internet. Each variation has been going through various stages of support and disrepute from institutions and governments. 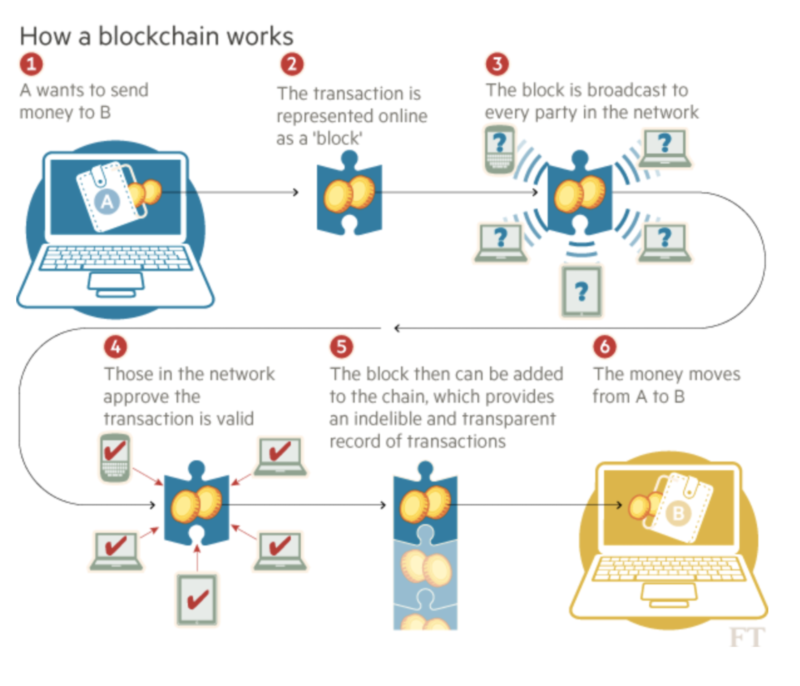 However taking a step back, blockchain, although designed to support Bitcoin back in 2008, is not all about coins. A blockchain is capable of bringing some very interesting, and potentially world-changing things, to the public: Secure tamper-proof voting, smart contracts that remove the need for intermediaries, health record management, and cross-border international transactions to name a few. At times, blockchain has been referred to as the next version of the Internet, set to change the world in a way even more profound and fundamental than how the word wide web did in the 90s. Satoshi Nakamoto, the inventor, was really turning things on its head with this system—and that’s where the genius behind the concept is. In the example above, if I send some money to my fellow director, Dan Cunliffe, that transaction will be recorded and encrypted as a block. And then the system will do something seemingly counterintuitive—broadcast that block to every participant in the blockchain! At a high level, security in the blockchain is implemented by cryptography of the blocks and blockchain, and most importantly decentralisation. That means that a hacker with a local copy of the blockchain can’t hack away at it. If they change a block and then upload it for inclusion in the blockchain all the other systems with the blockchain will reject that change, as the vast majority of systems have the unhacked version of the blockchain. It’s all based on strength in numbers. The bigger the blockchain is, the harder it would be to take over a blockchain and alter the contents. At least 51% of the systems would have to be altered at exactly the same time. So where does IoT come in? IoT and blockchain go hand-in-hand fantastically well together in concept. Both systems share principles of having large numbers of endpoints and distributed computing power. At a high level, blockchain could do well assisting IoT in managing security concerns, of which there have been a steady stream. If it isn’t compromised CCTV cameras on the public Internet being taken over and used for DDoS attacks, it’s code vulnerabilities in CPU’s, as we’ve seen from the likes of Intel recently! Whenever we’re talking about IoT and distributed devices such as water sensors, traffic lights, smart robots, self driving cars, coffee machines, fridges, and toasters, security should always be a top priority. The 10,000 foot view is that IoT devices like these work well with blockchain as having those devices communicate their information via blockchain implements the best possible security overlay available now. However the current state of blockchain presents a few hurdles. In the quest for the best possible security, blockchain endpoints all contain an entire copy of the transaction ledger, dating back to the very first transaction in the system. Therefore, as the number of endpoints grows, the size of the ledger increases. The bitcoin ledger as of the end of 2017 is almost 150GB. 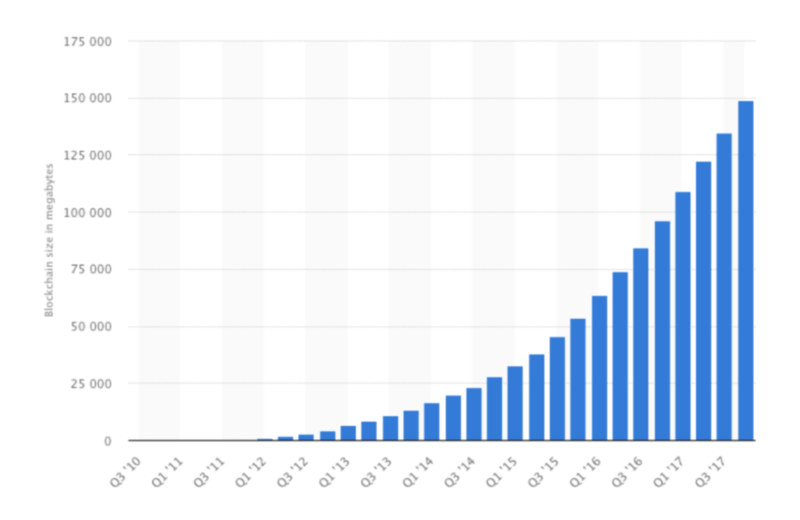 A graph of the growth, courtesy of Statista, can be seen below. A large 150GB ledger may be OK for a PC, but for an IoT connected device (granted, on a different blockchain) careful planning will have to be done to ensure the size of the ledger does not exceed the storage on the IoT device. In the blockchain world, IoT devices have to be connected to each other in order to talk to each other and update the ledger. While one may conceptualise the IoT / blockchain combination as a mesh of devices, in practice a lot of IoT deployments will use cellular technologies that will have to upload/download these updates over the air in a hub and spoke model. For example data would travel from one device to the core network and back out to the other device. That’s a lot of data usage. As an IoT solution grows in size so too does the ledger and the number of updates required. Not all communication technologies built for IoT are able to support the high usage data requirements needed to support a blockchain model. Technologies which are designed to support the IoT and M2M low data market, such as Sigfox and LoRa measure speeds and latency in the bits and seconds. To a degree some of the new cellular evolutions such as NB-IoT and LTE-M theoretically would be able to handle some of the lower footprint ledgers. It’s worth asking how blockchain is going to tackle these issues. Will it evolve, as above, to a hybrid centralised / decentralised model? Will there be a new version of the technology with much less storage, computing, and communication requirements? Or will blockchain remain and Moore’s Law prevail? Could we combat the unwieldiness of the distributed ledger with pure CPU computing power, 5G communication prevalence, and ever increasing storage? Like any good series, the answer is “to be continued”! I’m hoping to find out over the next four days at Mobile World Congress 2018 and will be updating our findings in my next blog. Stay tuned! In the meantime, if you’re interested to know more about cellular 4G/LTE communication, global SIM cards, Instanet, or IoT in general, feel free to get in touch at contact@pangea-group.net or tweet us at @pangeaconnected.